Children's bath toys make bath time so fun! 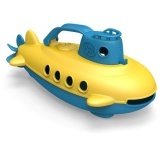 Alex foam stickers, plastic floating boats, bubble blowers, musical bath toys; there's so much choice! Great for those water babies!